Eat/Drink/Walk Perth Small Bar Tours: This is the original Perth small bar tour, established in 2008. Walk a little, eat a little and drink a little. Discover and taste the small and intimate venues in the city created a new nightlife and cultural scene. Starting at the Perth Town Hall, the traditional centre of town, and finishing in the King Street precinct, the tour lasts 3 hrs and explores the city centre, via the various nooks and crannies in a fun, relaxed and sophisticated environment. Do you have an unhealthy obsession with cheese? Then pull on your stretchy pants and explore the tastiest side of Perth with the ‘Fromage Walking Tour’. This isn’t just cheese tasting – this is an exclusive and decadent cheese adventure! Explore the tastiest side of Perth with our new ‘Fromage Walking Tour’, which culminates with a private cheese education class inside the old R & I bank vault at the new home of cheese in Perth, Fromage Artisans. Starting in the Northbridge Piazza, the tour first visits Kakulas Brothers, which was established in 1929 to import cheese and other small-goods from Europe. Here, a Kakulas family member will guide you through the iconic family business and offer tastes of their favourite cheeses and antipasto. The second destination is The Flour Factory, where guests will be treated to cheese and charcuterie boards in the warm comfort of an historic 100 year old flour mill. The tour concludes at Fromage Artisans on St Georges Terrace, which is located within the former home of the prestigious Western Australia Club. On arrival, guests will be guided to a private dining table located behind the vault doors which once contained the wealth of the R & I Bank. Here, you will be guided through an exclusive cheese education class by the on-site cheesemonger, whilst trying some of the finest varieties available in WA, along with a glass of premium wine or bubbles. World of Whiskey : Do you have a passion for whisky or are you someone who just wants to lean more about this amazing spirit? 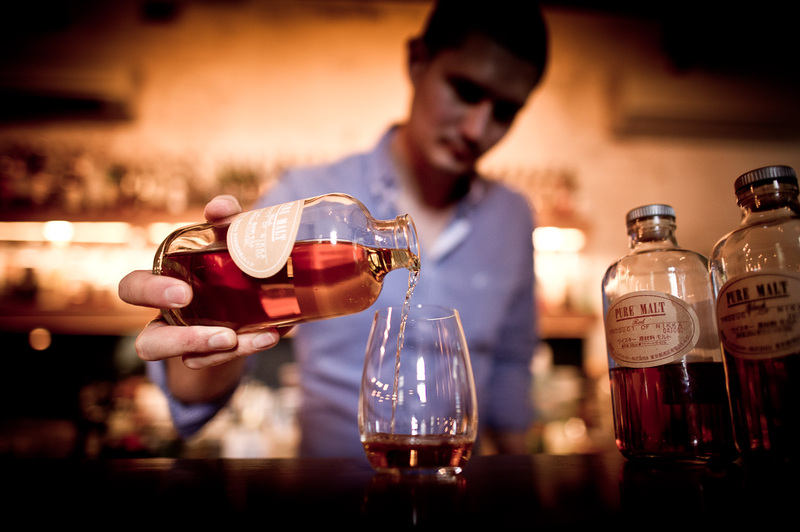 Experience the best of Perth’s small bars on this exclusive and limited tour World of Whiskey tour. You will be given exclusive access to 3 of the finest venues in the CBD for an amazing array of whisky tastings. After a meet and greet at the Perth Town Hall, you will be guided through the city to samples of whisky and detailed history of this amazing drink. First stop will be at Perth’s newest whisky venue Varnish on King where you’ll be delighted with tastings of bourbon, rye and Tennessee whiskey. Have it neat or with still or sparkling mineral water while you munch on delicious pretzels at the bar. The Second stop will be at Helvetica a small bar located in ones of Perth’s best lane ways. While here you’ll get to taste 4 amazing Australian whiskies while you soak up the cool and hip vibe. Our final stop for the night will be at Canton Lounge Bar where we’ll taste delicious and complex Japanese whiskey. Starting at the Perth Town Hall, the traditional centre of town, and finishing up on Pier Street, the tour lasts 3hrs and explores the city, via the main streets and the various nooks and crannies in a relaxed and sophisticated environment. Perth Progressive Dinners: Walk and dine down St Georges Terrace in the heart of the city. Enjoy 3 courses of beautiful dishes with a beverage to compliment in some of the finest venues in the city. Over the course of the evening, in a small group, you will visit 3 of the newer restaurants to indulge in an entrée, main course and desert, plus drinks, amongst historic settings including the Public Trustee building, St Georges house and the home of Perth’s first Bishop, Matthew Hale. While strolling between venues, you will be guided to interested spaces to discover art, heritage buildings and stories of some influential people in Perth’s history before arriving for another course prepared by some of Perth’s best chef’s. Starting at the Perth Town Hall, the traditional centre of town, and finishing in the King Street precinct, the tour lasts 3.5 in a fun, relaxed and sophisticated environment. Treat you with a mouth-watering night to remember. Save 10% off Fremantle tours this summer. Book online using the code “FREOSUMMER“. Perfect Christmas Presents. Instant delivery to your inbox. Fromage Walking Tours – An exclusive and decadent cheese adventure! For bookings of Foodie Tours Perth within 24hrs of departure, please contact us on 1800 459 388 to confirm availability.